How many times have you left a shot in the bunker or chunked a pitch shot? Wouldn’t you like a wedge that helps you get out of the sand the first time every time? One that makes pitches from the rough or fairway so much easier? Then the Harry Taylor Series 405 should be your new wedge! Super-forgiving wide dimpled sole. The wider sole, with its golf-ball-like dimples, lets it glide through sand or thick grass much easier than a conventional wedge. Nearly impossible to hit fat. No need to worry about opening the face, just square it up and take a swing and you’ll put it close to the hole. Soft feeling 303 steel. Softer than a 1025 carbon steel forged golf club, the more expensive 303 steel gives you a very soft, solid, great feeling golf club from your very first shot. Precision milled face and grooves. Produces a face that’s perfectly flat and outplays and outperforms clubs made using less stringent manufacturing methods. Tour quality rubber grip. Most popular grip style in golf. Non-slip pattern ensures sweat and moisture won’t reduce comfort or accuracy, letting you play confidently and comfortably for the full 18 holes. 4 different lofts 52°, 56°, 60° and 64° in both left- and right-handed clubs. Why are wedges so hard to hit consistently well? It’s because most are designed for Tour players, guys that practice for hours on end every day because they make their living playing golf. Their wedges have a very narrow sole with little to no forgiveness technology built in. With those, you have to time your swing just right and be very precise! You’ve always wanted great performing, impossible to chunk, super-forgiving premium quality wedges. But they didn’t exist…until now. Harry Taylor is a 10-year PGA Tour Player, 25-year PGA Instructor and renowned iron, wedge and metal wood designer. He has designed for Taylor Made and elite iron maker Mizuno, and at one time was partners with wedge design superstar Bob Vokey. Harry has created those perfect wedges we just talked about with his Harry Taylor Series 405 Dimpled Wide Sole Wedges. For decades, he has designed wedges and irons for the best players in the world. And now he has designed a wedge specifically for us regular golfers (you know, those of us who don’t play golf for a living). With his never before seen, friction-reducing, chunk-proof dimpled sole design, these Harry Taylor wedges effortlessly cut through the sand and rough like a hot knife through butter! It’s that easy to hit from the bunker or any lie! Harry designed these wedges in 52°, 56°, 60° and 64° lofts for any type of shot from around the green, up to 100 yards. Harry’s Series 405 wedges are SO forgiving and SO versatile that you can keep your same stance and swing from the bunker or any lie and still get the ball up in the air effortlessly. Harry’s wedges are engineered with super-soft-feeling, 303 stainless steel, and precision-milled face and grooves. Why? Even though its more expensive, Harry wanted you to have the soft feel of a super-premium wedge, and the precision and performance benefits of milling the face completely flat and grooved to very tight tolerances. Elegant, quality made, premium wedges like Harry’s come with a premium price tag. You could easily spend $150. But not Harry’s wedges, because we’ve negotiated a GolfersRx deal just for our readers. And those competing premium, but traditional narrow soled wedges, aren’t nearly as forgiving from any lie like Harry’s wedges are. When you hit one of Harry’s wedges—with its soft-feeling 303 steel, precision-milled face and grooves, and the super-forgiving wide dimpled sole that glides through sand and rough as effortless as a golf ball sailing through the air—you’ll know you’ve found a formidable contender and the perfect wedge line for your bag! We take pride in bringing you the highest quality golf equipment at the lowest prices available. Every product we select has gone through vigorous testing and analysis to make sure that our readers will be thrilled with their purchase. But even with the best gear in the industry, we know it’s impossible to satisfy everyone – and that’s why every single GolfersRx order is covered by our No‑Questions-Asked, 100% Satisfaction Guarantee. Test-drive your order for 30 days. If you're not 100% satisfied – or even if you just decide that you want a refund – give us a call or email and we’ll refund your entire purchase price (less shipping) – no questions asked. Add a 2nd, 3rd, and 4th club for just $67 each! Add a 2nd and 3rd club for just $67 each! Test-drive your Harry Taylor Series 405 Wedges for 30 days. 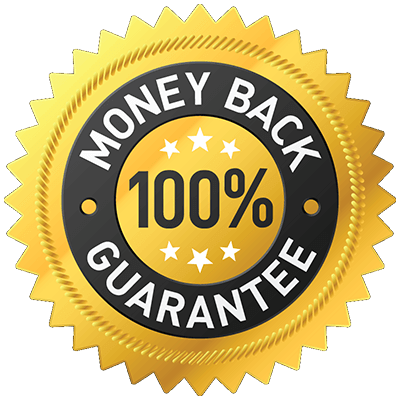 If you're not 100% satisfied – or even if you just decide that you want a refund – give us a call or email and we’ll refund your entire purchase price (less shipping) – no questions asked.